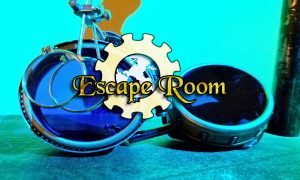 Interactive escape game located inside the Bright Center in Old Town Winchester. Choose between two different rooms. Our themes change every two months so there is always a new experience and new challenges. You have one hour to complete the puzzles. Points are given for puzzles solved and time used so you can compete with other teams. Team photos and scores are posted on our Facebook page. Created by husband and wife team Jason Shaffer and Sofi Shaffer. Stop by and see us or contact us with any questions:) Thank you for your support!! !